The primary source of energy for all cellular processes is a molecule known as ATP (adenosine triphosphate). Healthy, active cells constantly replenish their supply of ATP to produce vital cellular energy. However, under conditions of stress, injury, or aging, critical body tissues such as heart and skeletal muscles cannot produce ATP quickly enough to perform optimally. 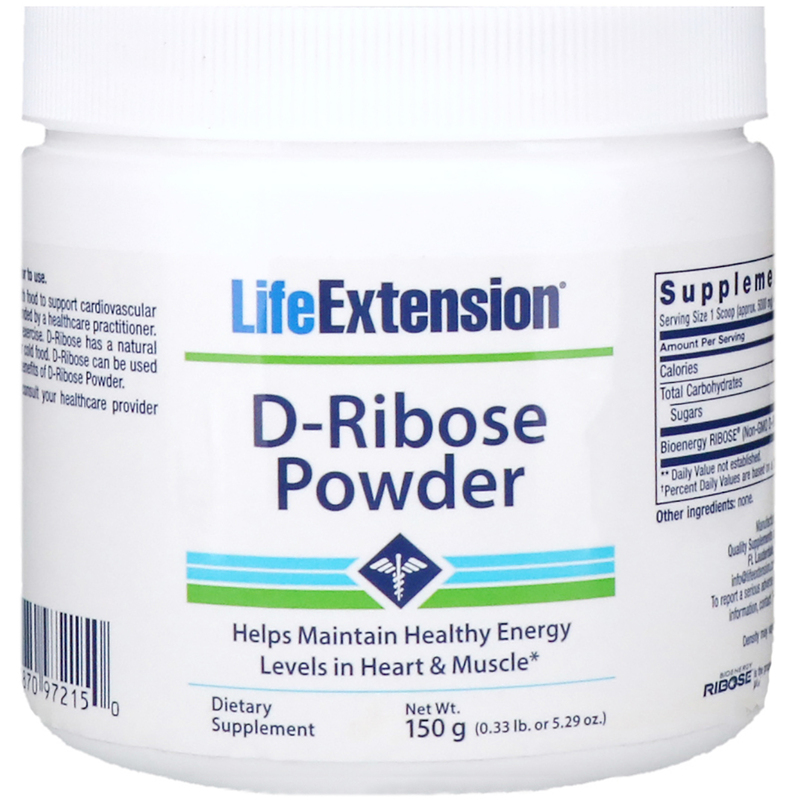 In studies of healthy athletes, supplying fatigued muscle cells with D-ribose quickly restored ATP levels to normal. By helping to rapidly refill depleted energy stores, D-ribose may be especially beneficial for heart health. Take one (1) level scoop once or twice daily with food for supporting cardiovascular health and energy levels in working muscles, or as recommended by a healthcare practitioner. 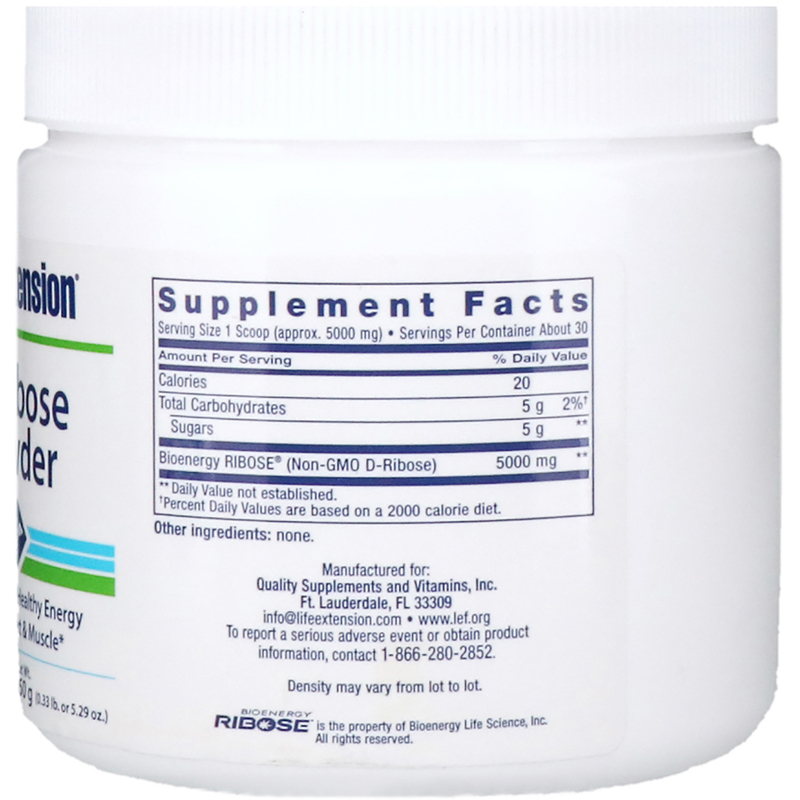 For alternative dosing, take one (1) scoop before and after exercise. D-Ribose has a natural mildly sweet taste and can be mixed into hot or cold food. D-Ribose can be used as a sweetener. Continued use is necessary to maintain the benefits of D-Ribose Powder.